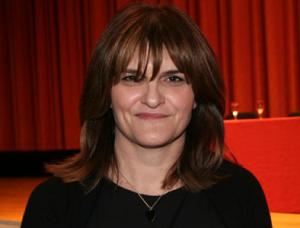 Cathy Horyn, chief fashion critic of The New York Times, is leaving the paper. Horyn cited personal reasons for her departure, and the announcement was made this morning by Jill Abramson, the Times’ executive editor, and Stuart Emmrich, the Times’ styles section editor. Horyn had been the Times’ fashion critic since 1999. Prior to joining the paper, Horyn served as a contributing editor for Vanity Fair. Emmrich told Capital New York that the decision to leave was “incredibly difficult” for Horyn. “Though not all designers agreed with her, and more than a few were angered by her reviews, even the ones who banned her from their shows or took out full page ads in WWD ultimately respected the intellectual heft of her reviews and the unquestioned integrity she brought to her work,” added Emmrich. Below is the full note from Abramson and Emmrich, announcing Horyn’s resignation.